My office is my sanctuary. It’s where I like to retreat late at night and throughout the day to get away from all the commotions of life. Normally, most people will see the office as a place of work, but I see it as a place to think, mediate, reflect, and tune out the world around me. My life has been stressful, but this is the one of the few places I feel accomplished. Whether it’s researching the next family vacation or reading on the Internet, I often feel at home in this place. It is my refuge. Each of the random images, I have taken represents a part of who I am. 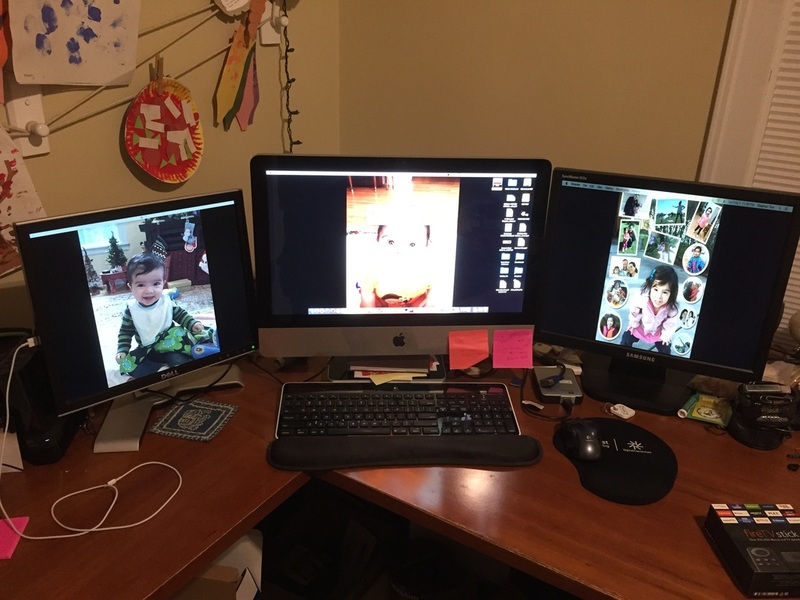 The computer station is my command center where one monitor is just not enough to get things done. My daughter’s artwork is an inspiration that all my hard work is to provide for my family. The fireplace keeps me warm long through the night when the heat is off and I work to finish my long list of tasks. The 32GB flash drive is my incessant need to always have the tools/software/files on me at all times. Lastly, the empty bottle of water is what keeps me going throughout the day and night. Computer Station: Dedication – Actions speak louder than words. Leaders lead by example. Leaders are dedicated to their craft. They don’t let excuses or hardships control their destiny. They work and work and work until they get it right. They never give up and like a computer’s CPU, they are always thinking, processing, computing, and delivering an output. 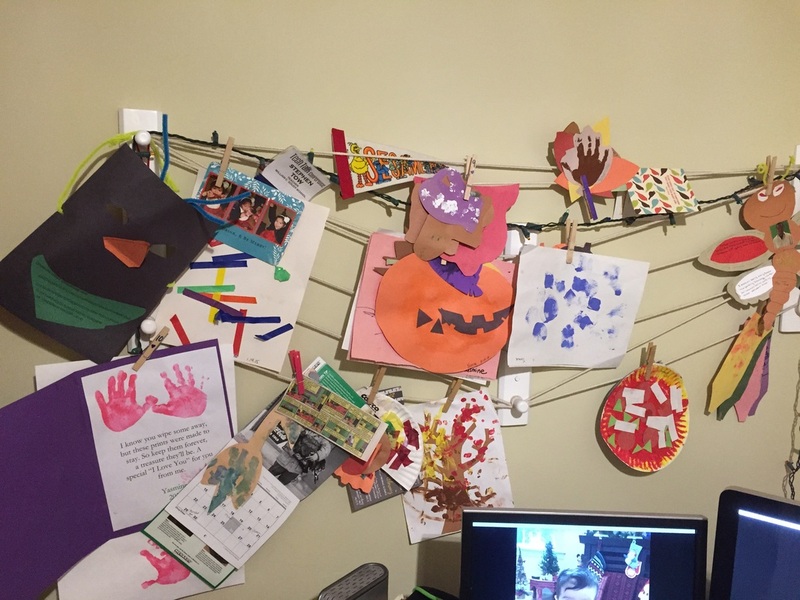 Child’s Artwork: Excellence – Leaders always strive for excellence and try to improve their abilities. They are always growing and never complacent. Some times the work looks like finger painting and some times the work is a masterpiece. Either way, leaders keep producing even though the outcome isn’t perfection. Leaders excel because they try and risk failure, because they know without failure you can’t succeed. Fireplace: Sacrifice – Leaders sacrifice themselves for the greater good. Leaders put themselves in the fire before everyone else. They sacrifice their time, their energy, and their body to make sure the outcome is what they have envisioned. Leaders know when is the best time to light a fire under others to get them to produce. Leaders need to lead by example and if this means failing in front of others to inspire others, they do it without hesitation. 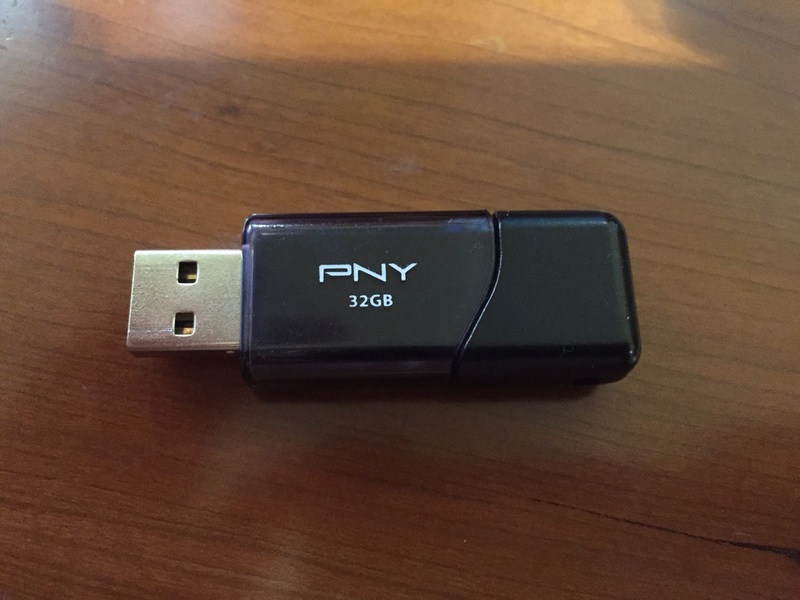 32GB USB Flash Drive: Ideas – Leaders need to constantly reflect and store their ideas, dreams, and reflections. No idea is bad, so they must have enough capacity to retain all their goals and thoughts and be ready to share when the time is right. Without goals or ideas, leaders can’t lead others. Leaders are not followers they are trendsetters. Bottled Water: Responsibility – Leaders are responsible for those that are around them. Leaders know not to be wasteful and must reuse everyone that is involved. Leaders know you cannot just toss people aside to get to your goal. Great leadership quenches your thirst for more. 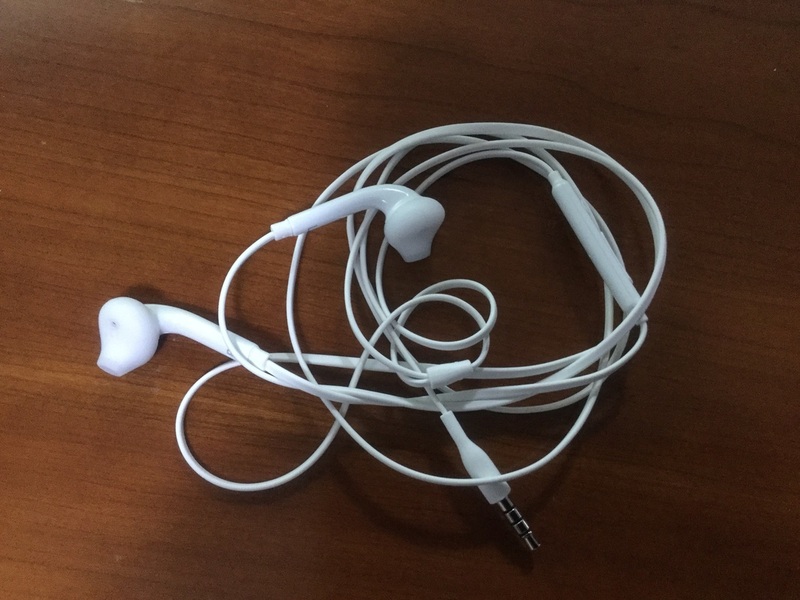 Headphones: Enjoyment – Leaders need to have passion and enjoyment for what they want to accomplish. Their joy is infectious to those around them. Leaders inspire and the result of this becomes refreshing to work with them. ​Leaders lead by example. 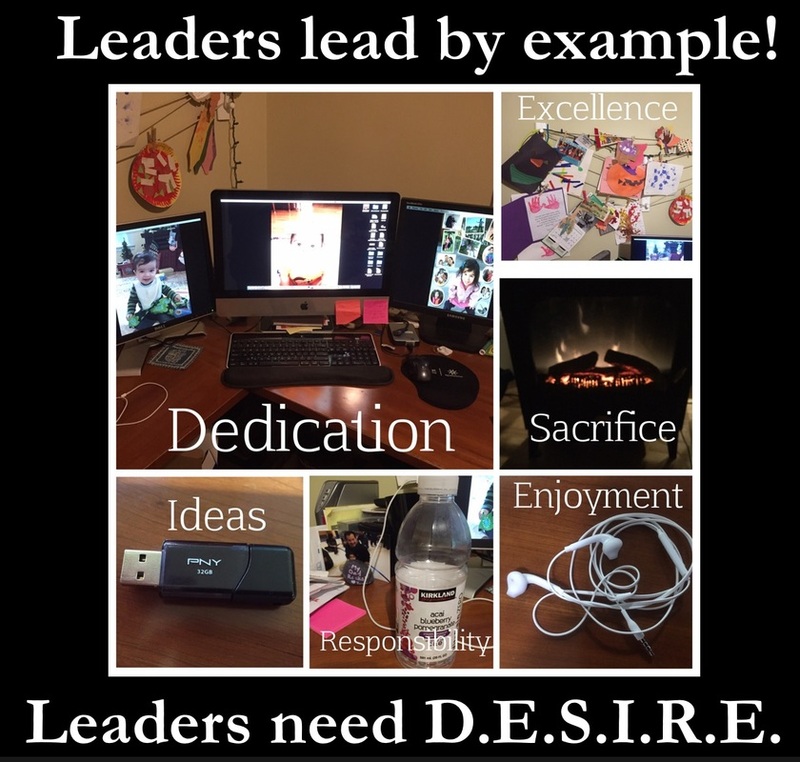 Leaders need D.E.S.I.R.E, Dedication, Excellence, Sacrifice, Ideas, Responsibility, and Enjoyment for what they seek.